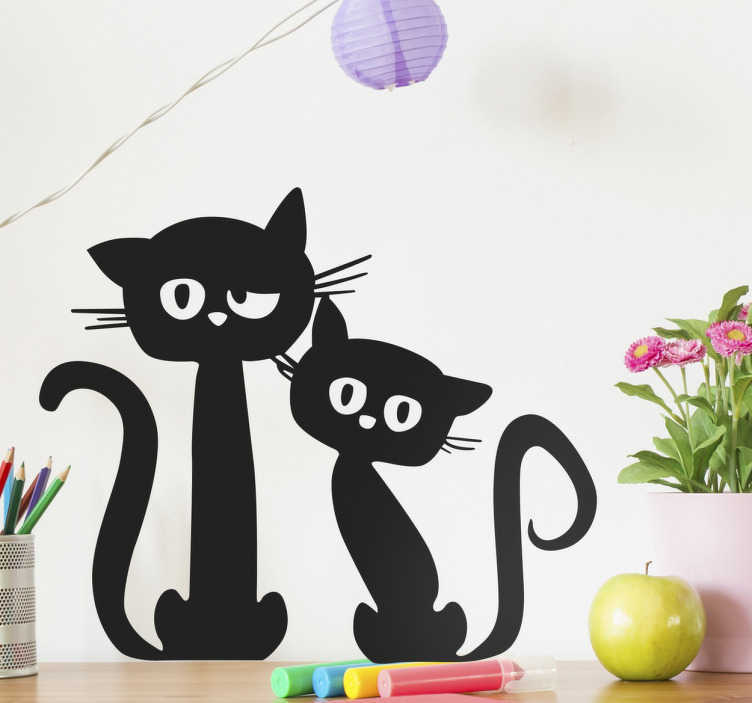 This wall sticker is ideal for cat lovers, and shows two black cats in a cartoon silhouette style looking back at you quizzically. This vinyl is perfect for any room of the house, and comes in a variety of different sizes, and is made from a high-quality, anti-bubble and easy to apply material! Show your love for our feline friends to all visitors to your home!